hehe^__^..i think sO..we need to prOtest..
and tell him to cUt his hair..and give the cUt's tO us..hooo..
the parlOrshop is sO lucky..
@evbon -- huwaaah ! i saw the pic .. thats also the exact style that teppei suits him . hehe . nga pala .. i bought a dvd of shibatora . mga 100php bcoz 3 cds xa ee. where did you buy 'em?.. im going to look for it in malls..i guess they have them.. hai!..we can write it there^^..
good idea biha..i'll try to post that comment there..
demo2 im afraid..he might get mad..hoohoo..
nweiz..im going to tell it in a nice way..
how well it be..to say to cut he's hair..
but in a nice and reasonable way?...help...hoohoo.. i,we need to plan what i'll comment there..
@xAm: uist..i find some here..
Hmm..May be u can say something like this..
'I like teppei with short hair^^. hai..hai!..^^ good idea,..^^i'll post a comment..
on the next blog post he'll make..^^..
we like teppei in a short hair..^^..
Well, I like pretty much ALL of teppeis hair. one of them being his 'dragon zakura' hair. @frash: hai..in dragon zakura hair is so kawaii..
with pink highlights..it make's him more kawaii to look at..
and in gokusen2 also.with clips..i wuv it..
the one when he wears shades..
..have you seen KIDS the movie frash?.. 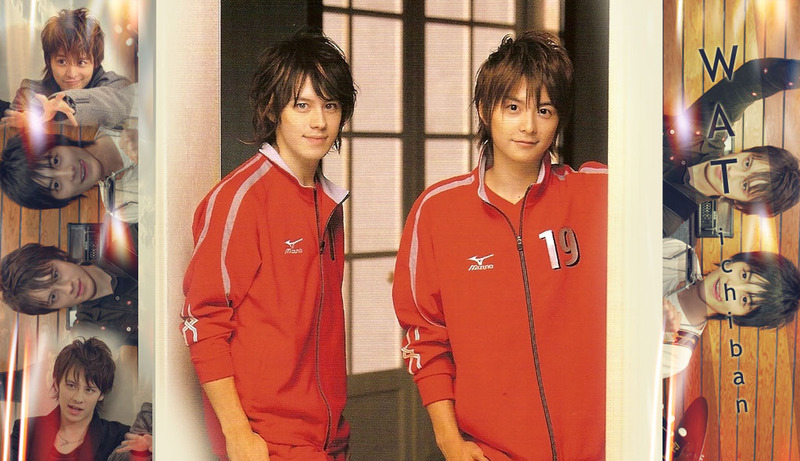 or the WATERBOYS 2?..i dont like the hairstyle of te-chan their..^^hhrr..
i want tO see^^..can i biha?.. im curious of that one^^..
i want to see his hair..
but i dun like teppei's hair in gokusen2..
can u tell me where to watch..
ive been looking 4 it for so long..
oh yeah..i have watch KIDS..
it's kind'a boring at first..
it's not in CR already..it's in the library..
and you couldnt watch it now..huuhuu..
in mysoju.com..i search for it also..demo..it's not there..
i dont know where else you could watch it..
i guess minna could lead you in some place..
ooh..i'll try to watch it in YT tommorow..
te-chans dorama and movie is so hard to find..
and im eager to watch "MY FAVORITE GIRL" demo i cant find it..
Ah,u can watch shibatora dorama^^.it's teppei leading dorama ne^^..
yeah..waterboys is more on waterscene..
you can also watch KIDS.. demo..
i dunno how to watch in crunchyroll..
but ppl say its a good drama..
i really eager to watch it..
i also have trouble like frash..
when i was watching iryu I(i dun remember..)..
at the bginning of 1st ep..
my mom saw some scene that is'...' n forced me to turn off..